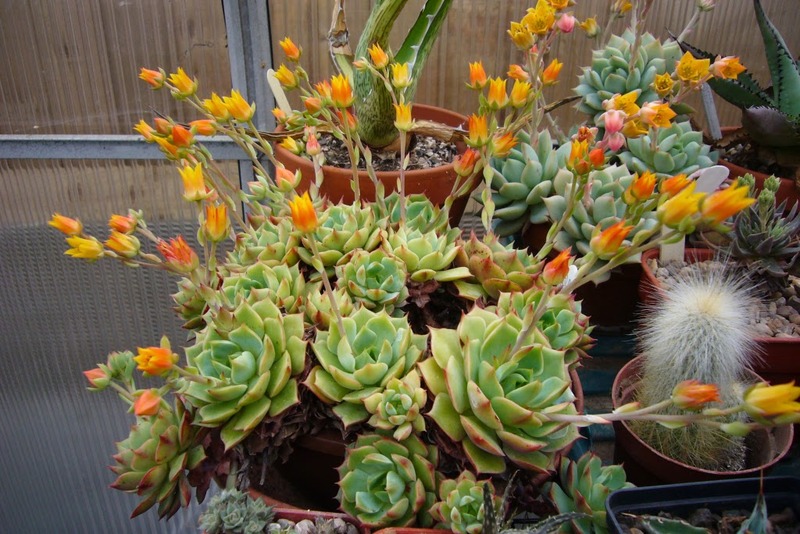 Spiky obsession: The succulent flower part 2. Both in and out of the greenhouse the succulents are flowering away. 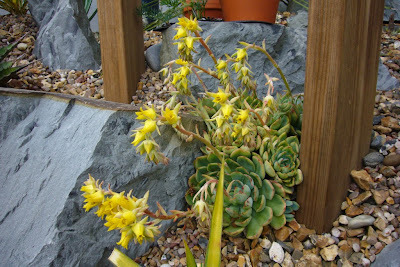 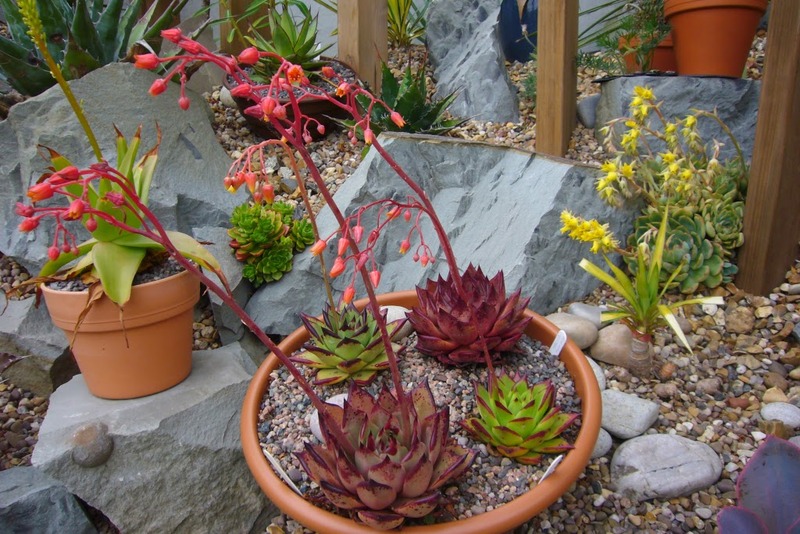 The echeverias are in good form as well, although not all their flowers are that good to look at. 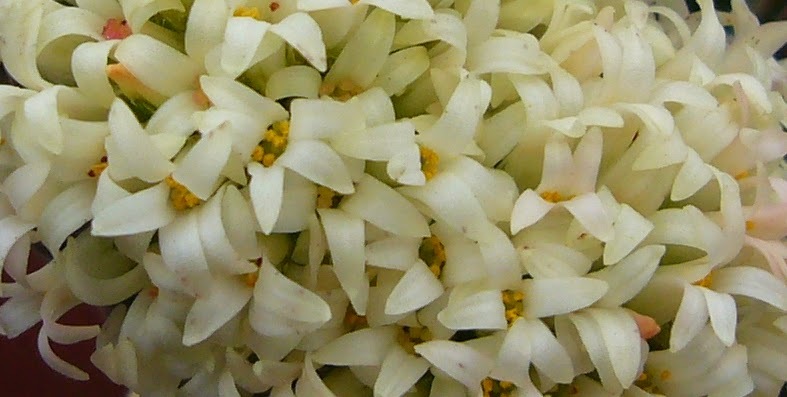 Some of the better ones are e. ramillette, which has larger flowers and lots of them. 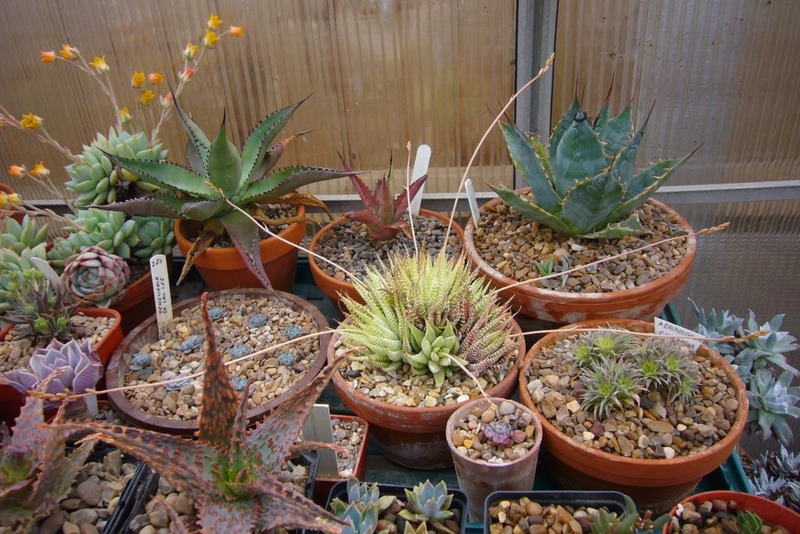 E. setosa blue, which has a stronger colour to the flowers. 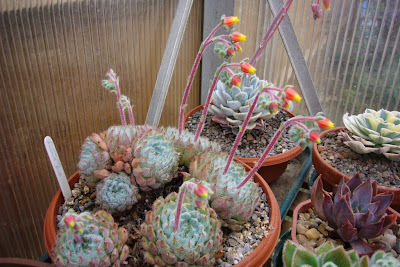 As if the echeveria flowers weren't leggy enough soe of the haworthias are even worse. 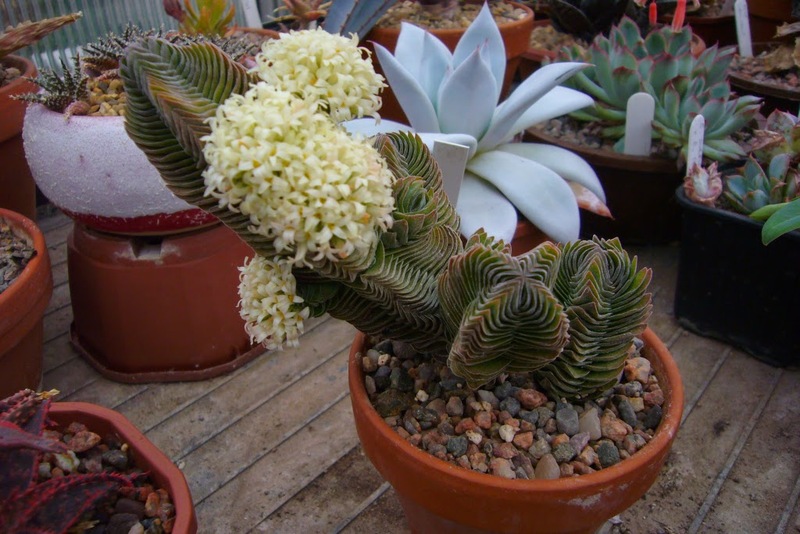 This one is taking it to the extreme and sending out flower stalks in each direction. The flowers themselves are very pretty but tiny. Outside isn;t much different. 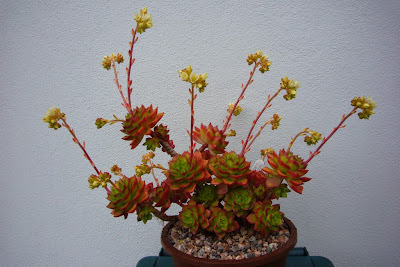 The river of echeveria elegans is now a river of flowers. The e. agavoides types all have weak flowers, the plants may be great which is good as you don't grow the for the flowers. In the background is one of my own hybrids echeveria 'Adonis Blue' ( which is e. pulidonis x e. rosea) It tends to flower quite well. 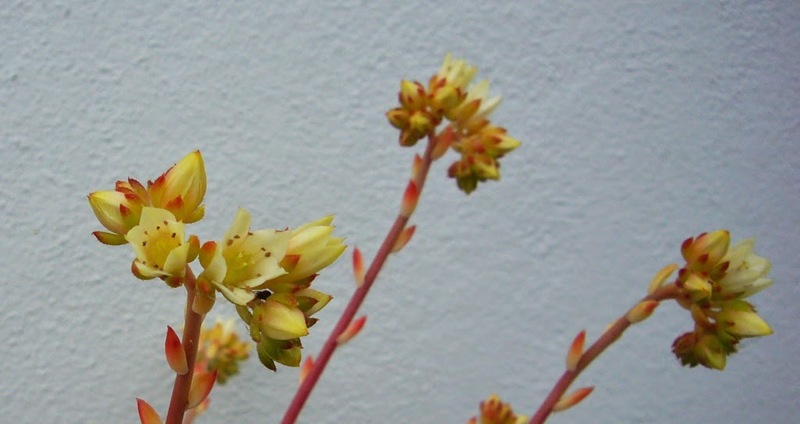 The flower stalks are a bit longer this time which is a shame, but it still has the white flowers. 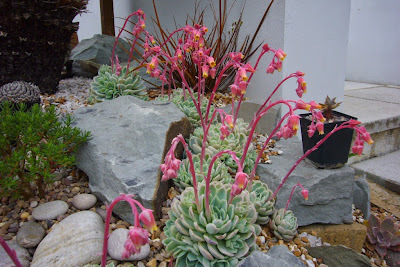 There are still a few yet to flower so I am sure there will be a part 3.